Alex Wong / Getty ImagesJeff Bezos, CEO of Amazon. Amazon announced that it would boost the pay of longtime workers to counter fears that a new minimum wage increase would actually leave them out of pocket. That’s after Amazon last week said it would up its minimum wage to $US15 an hour starting November 1, including for part-time and temp workers, but also said it would phase out monthly bonuses and stock options for its hourly employees. Amazon is giving workers that already make $US15 an increase of $US1.25, and announced it will be introducing a direct stock purchase plan in 2019. Amazon’s minimum wage increase has resulted in some unexpected backlash. While many welcomed the news that Amazon was upping its minimum wage to $US15, including longtime critic Senator Bernie Sanders, some Amazon workers raised concerns that they were having other benefits cut. After announcing its new minimum wage, Amazon said it would cut monthly bonuses and stock grants for hourly workers. For some longtime workers making more than $US15 an hour they worried that their total pay might actually decrease. However, a group of 41 Amazon workers in the UK sent emails to Jeff Bezos directly asking to have their employee share and incentive schemes restored. On Wednesday Amazon responded to the employee backlash, saying it would adjust compensation accordingly so that all employees would see the benefit of the wage increase. 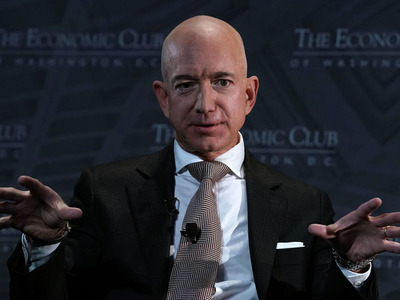 “We moved quickly to get this information to our teams as fast as possible knowing there would be certain cases that would need to be adjusted between the announcement and November 1st when this new $US15 minimum takes effect,” Amazon said in a statement on Wednesday. Amazon said in a statement shared across multiple outlets that workers who already earn $US15 an hour will see an increase of $US1.25, rather than $US1. Amazon also said that while some employees have benefited from owning stock, there’s no guarantee that this stock would continue to be quite so valuable. “Some employees have benefited from a bull market and the unusually strong appreciation of Amazon’s stock price in recent years. This is a good outcome for those employees, but such stock price appreciation is by no means guaranteed to continue. Stock markets and individual stocks can go up, but they can also go down,” Amazon said.